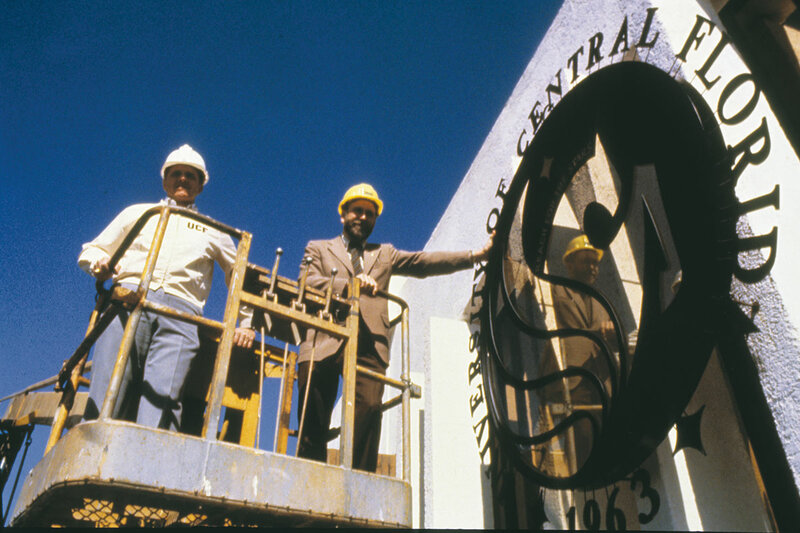 In selecting FTU's original seal, President Millican stated, "What makes a man try for the impossible? It's a touch of the divine in every one of us. Therefore, our choice of Pegasus was in keeping with this goal." 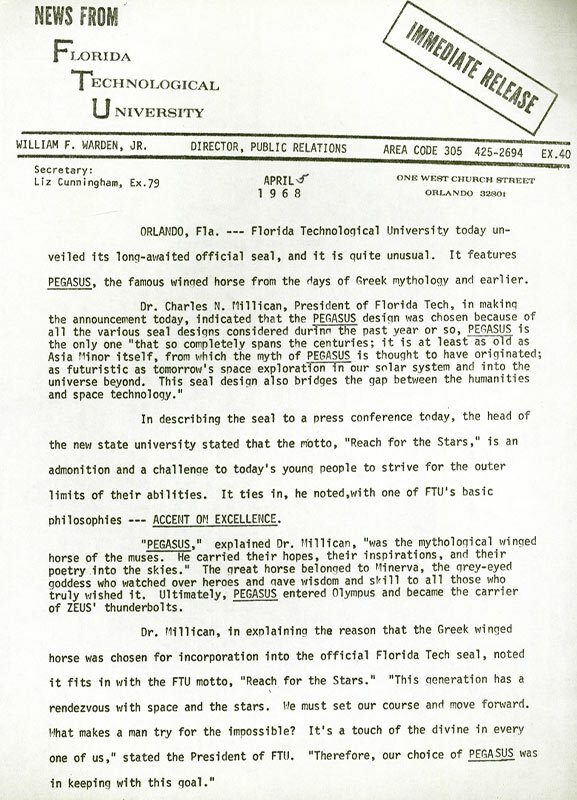 From the 1968 press release announcing the new seal: "Pegasus was the mythological winged horse of the muses. He carried their hopes, their inspirations, and their poetry into the skies," explained Dr. Millican. 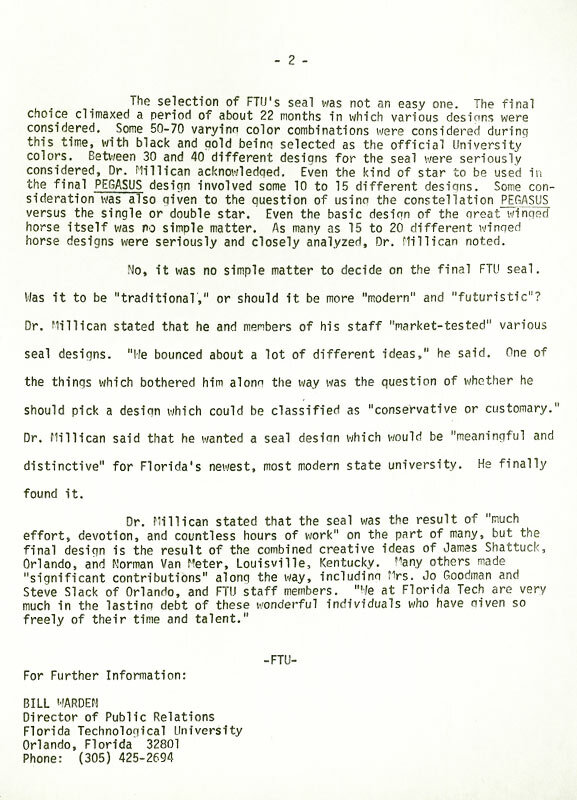 The final version for the seal was chosen from a selection of 50-70 color combinations and 30-40 design options, which included 10-15 different variations on the star. 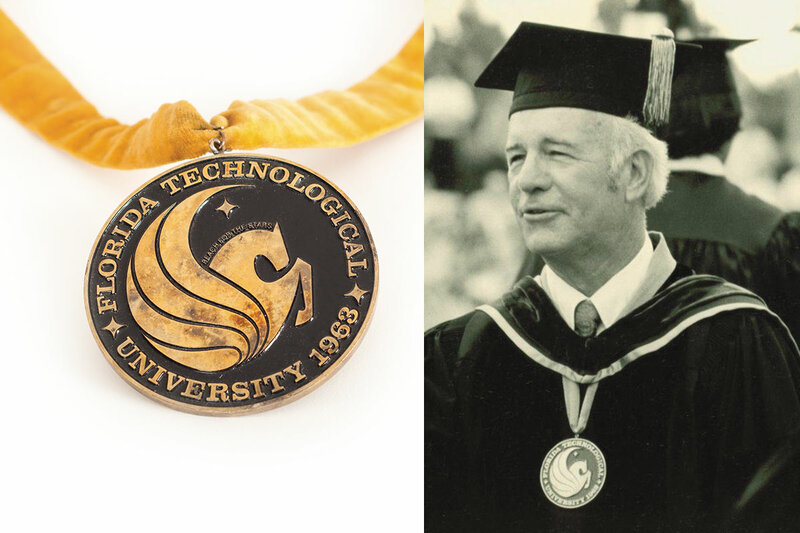 The FTU President's Medallion was worn by Millican during commencement and other ceremonial functions. 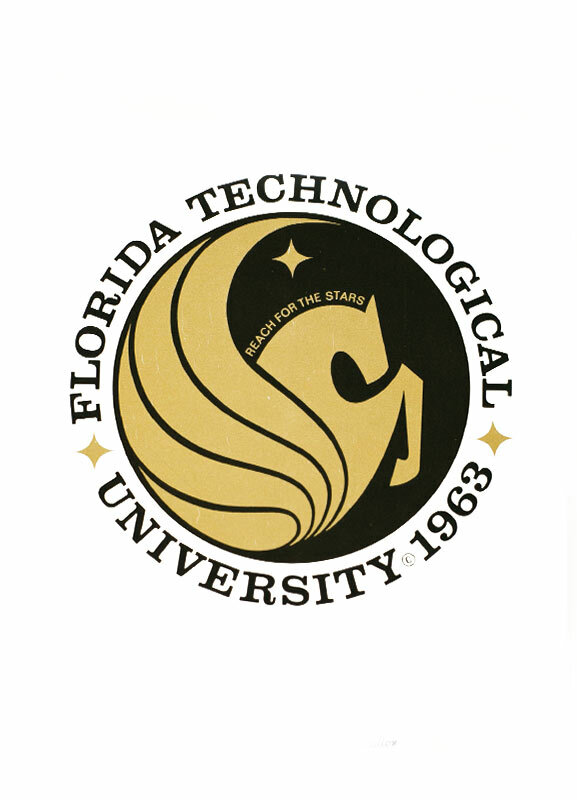 President Trevor Colbourn posed with the new seal after FTU’s name change to the University of Central Florida in 1978.